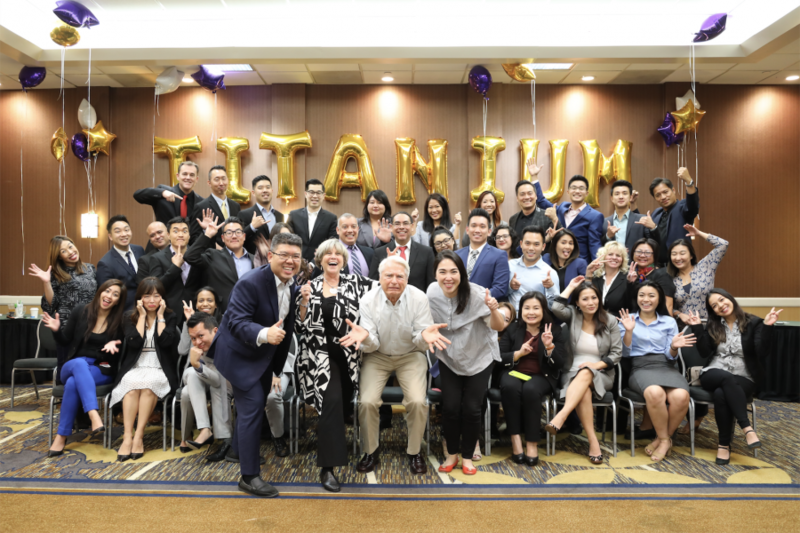 LOS ANGELES, CALIFORNIA, UNITED STATES, October 30, 2018 /EINPresswire.com/ — Titanium Real Estate Network – Rudy Kusuma Home Selling Team – The Rudy L. Kusuma Home Selling Team is pleased to announce their three-day 2018 Q4 Titanium Conference which took place on October 22 to 24, 2018. It was attended by different real estate professionals who want to interact with the Titanium Real Estate Network and learn from various speakers regarding about the RBID Home Selling System. He also added, “depending on how you perceive this reality, it can either be an opportunity for your growth or an enemy that will hinder you to succeed. As you continue to keep up with the challenges, you have to take advantage of every chance if you want to thrive – not just to survive.” It is worth noting that his contribution to the real estate market leads him to be recognized as the Top Producer Team Leader of the Month for three consecutive years. For several years, Rudy L. Kusuma Home Selling Team has been serving different areas such as Los Angeles County, Orange County, and San Gabriel Valley. If you can see a bright future in any of these states, Rudy and his team are always ready to find the best home locations that are tailored to your style and family’s needs. They were able to hold over $100 million real estate transactions that lead them to be recognized as one of the key players in the industry. Several awards he received showed his undying effort to create sustainable development. If you want to know how Rudy L. Kusuma Home Selling Team can help you get the best home with excellent home value, you can send them an email at www.titaniumrealestatenetwork.com, or you may also call the phone number 626-789-0159 for inquiries. Be part of their growing list of happy clients and see why they are one of the top performing private companies in LA.